How to Lower Freight Shipping Costs? When it comes to the transportation of art, antiques, and other valuables, the best way to ensure that every single piece arrives at the destination intact is to hire a reliable fine art shipping company. As an artist or art business professional, you know that such services are not offered for free. After all, the process of freight shipping includes many factors, such as diesel fuel price and needed equipment, all of which play into the rates you get. Even though at Fine Art Shippers, all our services are reasonably priced, we understand that you may still want to save some money without sacrificing the quality of our work. Hence the question arises: how to lower freight shipping costs? The good news is that with certain preparation, you can do it with ease! So where to start? 1. Know your options. Since shipping art and other valuables by sea is much cheaper than shipping them by air, take your time to learn more about available options. The right mode of transport or their combination can significantly reduce freight shipping costs. 2. Consider partial truckload. 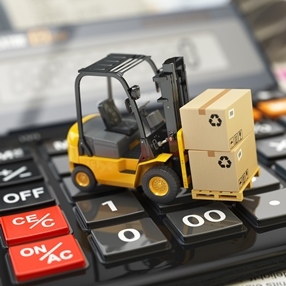 Partial truckload allows you to split the cost of a truck with other shippers. Besides, a smaller shipment can also be consolidated into a larger shipment. This takes more time, but you can save money when choosing this option. 3. Ship more but less frequently. It is better to make one big shipment than several small shipments that are all forwarded to the same location every two days. This will lower freight shipping costs even if you additionally order temporary storage services. 4. Pack yourself. While it is recommended to entrust the packing process to experienced packers, you can also pack your precious belongings yourself to reduce freight shipping costs. 5. Compare freight shipping rates. Different companies offer different services and prices, so always compare freight shipping rates in order to choose those that suit your requirements and budget best. 6. Develop a long-term relationship with freight shippers. It is needless to say that a long-term relationship has added benefits, so try to work with the same freight shippers all the time to reduce the cost of shipping. 7. Avoid peak days and seasons. Finally, always schedule your shipments very carefully to avoid weekends and holidays. Apply these tips, and you are sure to lower freight shipping costs! Besides, do not hesitate to discuss with your shipping company where you can save on freight charges!